If this is your first time stopping by my blog. Welcome! I have been posting a ton of printable vintage art recently. It’s hard to write something interesting about printables for each post:). I think I started out fairly strong for the first 5 printable posts, but I’m probably up to about 15 by now, and it’s getting a bit monotonous. 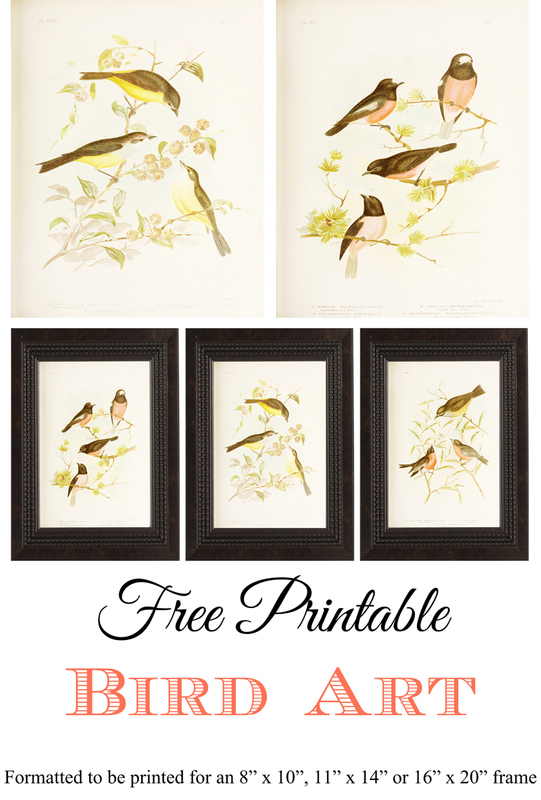 I do hope, though, that these free printables will help you get inexpensive art to help you adorn your walls. I love art on walls, but I know the price tag for art can be high. I love trying to find vintage art (where the copyright has expired) and grouping it together. 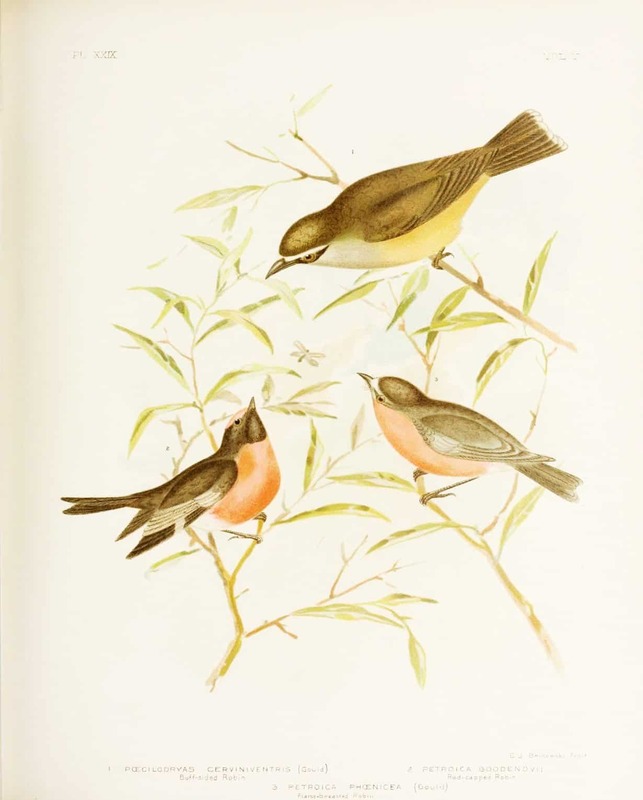 The Biodiversity Heritage Library has helped in this endeavour by providing thousands of beautiful illustrations. 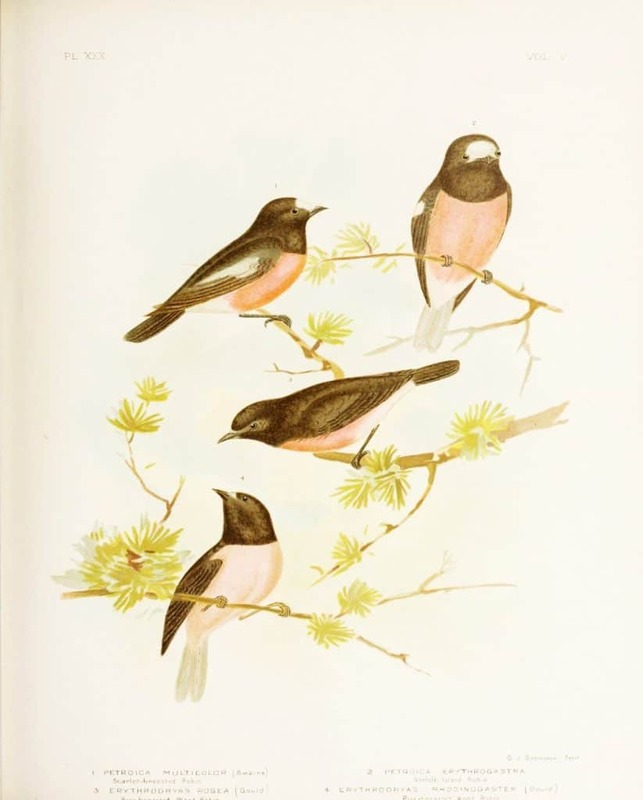 As I was looking through the Bird prints today that I saved from this site, I noticed how pretty the coral hues of the bird’s feathers were. Earlier today I did a post with a grouping of 8, but I thought these would look nice printed larger with only three grouped together. Possibly over a bed or console table. 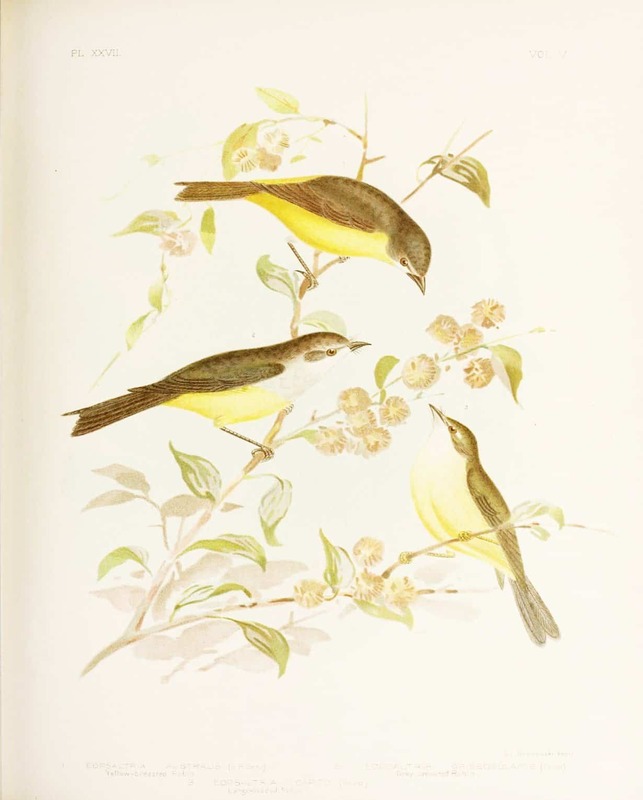 As I said above, these images are from the Biodiversity Heritage Library site. They are from birds of Australia, Melbourne C. Stuart & company. I have color-corrected them using Photoscape and resized them with Powerpoint. The powerpoint files (below) are ready to be printed on your computer or sent to your local printer (Staple’s, Kinko’s, OfficeMax, etc.). The 8″ x 10″ files should be printed on letter paper, and the 11″ x 14″ images should be printed on ledger size paper. The 16″ x 20″ images will need to be printed as a poster. I’ve included the jpeg files for you also, in case you want to do something else with the images. Enjoy! Let me know in the comments if you have any questions. The frames that I selected are from Michael’s. They are the StudioDecor Portrait Collection Triple Bead Frame and cost $26.99 each. « How to get the Vintage Farmhouse Look? Think Fixer Upper!